PreCalculatOre is a combined process and cost modelling tool to assess the potential economic benefits of applying surface-based ore pre-concentration techniques at a mine or deposit. The process model is founded on proprietary mass/metal balances for mineral processing, smelting and refining steps developed by Xstrata Process Support, and coupled with proprietary capacity/cost models developed by MineSense Technologies Ltd. The tool estimates the impacts on metal recovery and process cost for the base and pre-concentration case scenarios. The tool is not intended to replace current industry accepted project evaluation practices and should not be used in isolation for any substantial business decisions. Any use which a third party may make of this tool and related documents, or any reliance on or decisions to be made based on them, are the responsibility of the third party. 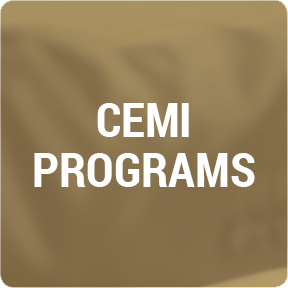 CEMI accepts no responsibility for any misuse of the tool or related documents. The base version of PreCalculatOre takes reflects a generalized, global model of operating and capital costs for mining, milling and smelting operations. ‘PreCalculatOre – Sudbury Edition’s financial model has been adjusted to reflect operating and capital costs specific to mining, milling and smelting in eastern Canada. Both versions of PreCalculatOre allow the user to apply a percentage change to the results to more closely match the financial expectations, given a user’s past experience or specific requirements. For technical inquires or to send feedback regarding these documents, contact Andrew Bamber from MineSense Technologies Ltd and/or Arthur Barnes from Xstrata Process Support.